Ditte Dalsgaard Nielsen is experimenting with various unconventional methods and materials to create contrast to the otherwise quite traditional idea around ceramics. She finds both inspiration and materials in the nature and environment around her and she experiment with the clays ability to incorporate and collaborate with the relatively unexpected found materials. 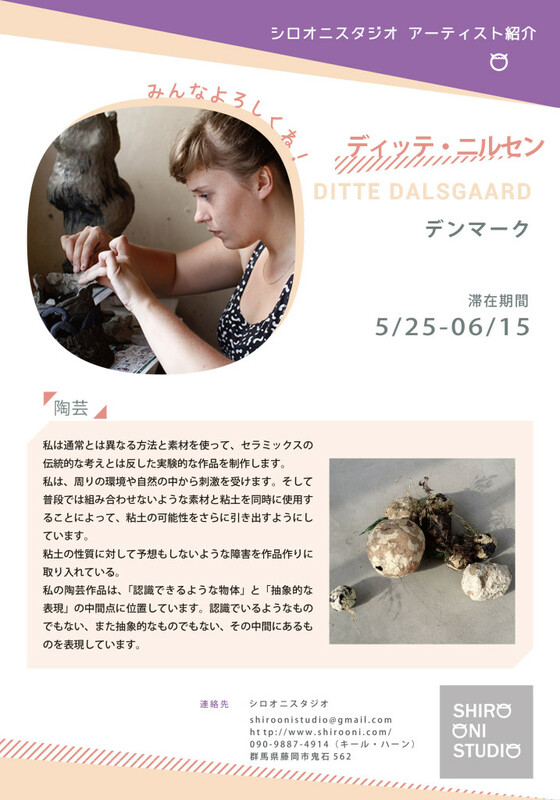 She create barriers and unexpected disturbances in the natural whole of the clay.